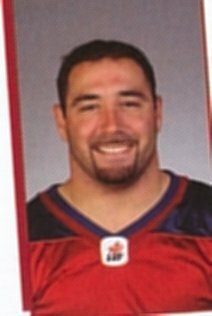 \Bruno Heppell was a third round draft pick (21st overall) of the Montreal Alouettes in the 1997 CFL College Draft. 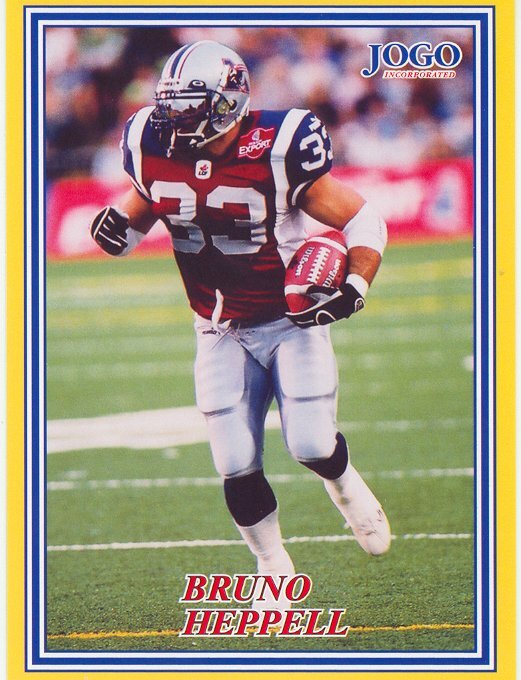 Bruno played eight years in the CFL (1997-2004), all with Montreal. Heppell was mainly used as a blocking fullback and on special teams. 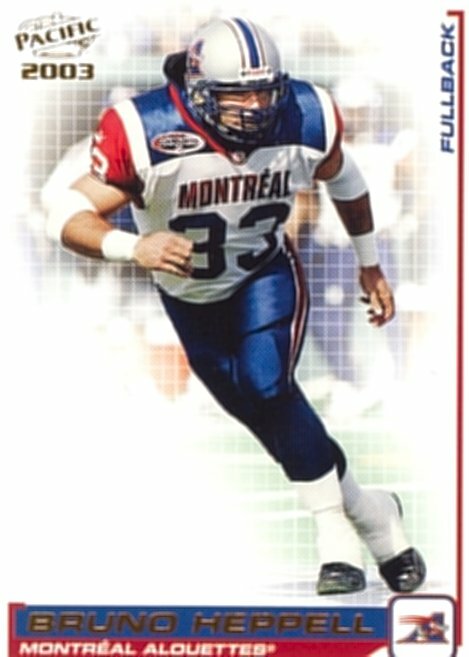 While not the most glamerous role, protecting Quarterback Antohony Calvillo and opening holes for Mike Pringle was important to the success the Alouettes during the years Heppell played. You could count on Heppell to pick up tough short yardage when needed, and if the defense concentrated too much on the "big guns", Heppell could sneak out of the backfield to rumble for some big yards such as his career high 58 yarder in 2002. Heppell's best season was 2001 when he ran for 136 yards and caught 22 passes for for 273 yards. For someone who didn't ge the ball a lot, Heppell found the endzone quite a bit, scoring 15 career touchdowns, 11 rushing, 3 receiving and one on a fumble return. Heppell also contributed on special teams, recording 13 special teams tackles twice (1997 and 2002). The CFL Player's Association names its own All-Star teams separate from the league, and Heppell was voted an East All-Star by his peers in both 2001 and 2002. Heppell played in three Grey Cups with Montreal, winning it in 2002. Heppell retired after the 2004 season and has since become involved in the Montreal Alouettes alumni where he is currently (2009) one of the vice-presidents.